In the past ten years alone, technology has made more of an impact on society than almost any other phenomenon has managed in the past century. Even on the most basic level, from the way we get our news, to the way we go to work, technology is disrupting the way we do almost everything. And while that may cause some to think the sky is falling, it has always been this way. Today, technology continues to send shockwaves to those in the present, and on into the future. Take the workplace for example, which is becoming increasingly more efficient thanks to technology—a 2016 report estimated 5 million jobs will be lost to automation by 2020. While that fact can sound as scary as it is impressive, technology is creating new jobs, too. For example, that four-wheeled contraption mentioned above? Technology has made it possible for them to not even need a driver behind the wheel to operate. But while that might mean less need for hired drivers, it means needing more driverless car operating system engineers—just one of many future STEM jobs. These changes represent an obvious, major shift in the traditional workplace. Those who pay close attention to these trends are the ones who will not only be best suited to survive when things play out, but to thrive as well. Again, if you look back to any era, you’ll find that emerging technologies have been displacing workers since the dawn of man. In doing so, you’ll also find groups of people who learned everything they could about their field of work - and where it might be heading - in order to stay current, or even ahead of, those trends and changes. To prepare for the future, we need to understand where the jobs are now, yes, but importantly, where they will be—and the skills that will be needed to fill them. Technology can do a lot of things, but even in light of tremendous breakthroughs in the way of artificial intelligence, it still can’t think 100% like a human being. Thus, human analysis, decision making, and logical deduction are still valuable skills and will continue to be so in the future. One specific area expected to be in demand is “computational thinking”—or, the ability to, like a computer, manage enormous amounts of data and parse through it. It should go without saying, but we’ll mention it anyway—there are many reasons why kids should learn how to code. Computers and the software that runs them aren’t going anywhere, so getting familiar with coding - and speaking a computer's language - is one very good way to future-proof your career. Download our 2019 brochure to learn more about getting your child started coding. Or, continue reading about the skills required by the jobs of the future! Associated Jobs: Marketing specialist positions like market research analysts are expected to increase by 18.6% according to the Bureau of Labor Statistics. Software developer jobs will grow by 18.8% by 2024, and computer system analyst jobs by 20.9%. Computers and A.I. have a long way to go to learn and understand the nuances of human communication, with cross-cultural understanding and social interactions being A.I.’s Achilles heel. Learning empathy - how to recognize and share emotions - is always going to be an important trait, not only in the job market but for winning at the game of life. Associated Jobs: One of the hottest jobs sectors through 2025 is health care and caregiving. Makes sense, right? People are living better and longer (thanks to a lot of things, including technology) so it would make sense that jobs like physical therapists, medical technicians, medical assistants, and workplace ergonomics experts are on the rise. Home health aide jobs are expected to grow by a shocking 38.1%. When we talk about the importance of STEM and the associated careers, it's valuable to keep in mind the "other" (non-coding) areas too; like learning SMAC (social, mobile, analytics, and cloud) skills. SMAC technologies are going to continue to have an impact on the future, and even more so than their effect today. In the future, social literacy and new media intelligence will be valuable skills. Why? Because again, it’s going to take a long time for computers to master soft skills like empathy. Plus, in a world where you could be living in the U.S. and “virtually” working with someone in Bangladesh or China, humans are able to better understand cultural differences, social interaction, and how social platforms are used to communicate—at least way better than any robot (and thus, is another reason why students should study abroad). Associated Jobs: The BLS projects sales jobs, like sales representatives, marketing specialists, and customer service representatives will grow by 6.4% to 18.6% by 2024. As cultures and economies get further intertwined, it will be incredibly important to be able to pull information from a vast array of knowledge sources. Future careers will also present some of the most challenging problems humans have ever faced—and computers won’t be able to solve them alone. Analyst Julie Friedman Steele of the World Future Society (an organization for futurists) says we need to shift how we learn, using technology to cull the best and most current resources. So, got 10 minutes on a bus ride? Use it to learn a new technique or polish your C++ skills. Or learn how to make a webpage using HTML. In the future, learning like this will be commonplace. Associated Jobs: The education and training field is expected to be a growth sector will into 2025. Teachers, trainers, and other types of educators are going to be in demand. Computers haven’t written a best-selling novel or made a blockbuster movie, and those milestones are still many years away. Computers also haven’t come up with an idea for a multi-million dollar start-up. Those things are still the domain of humans, because while computers and A.I. can solve dynamic equations, they can’t create original content, yet. Associated Jobs: Entrepreneurs will always have a place in the future. But people who have an understanding of business and the way it works will continue to be essential to business. Management roles and auditors are expected to see double-digit growth through 2024. The future is bright, and if the kids of today want to truly shine in it, they've got to start preparing to succeed in it, now. Technology will continue to help industries innovate and empower their workforce, but it’s up to the humans to see how we can take advantage of those opportunities, too. 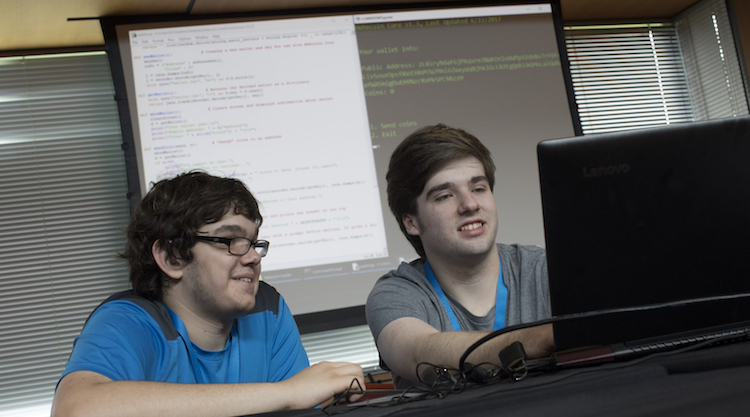 Students can start future-proofing their careers now by attending an iD Tech summer program. 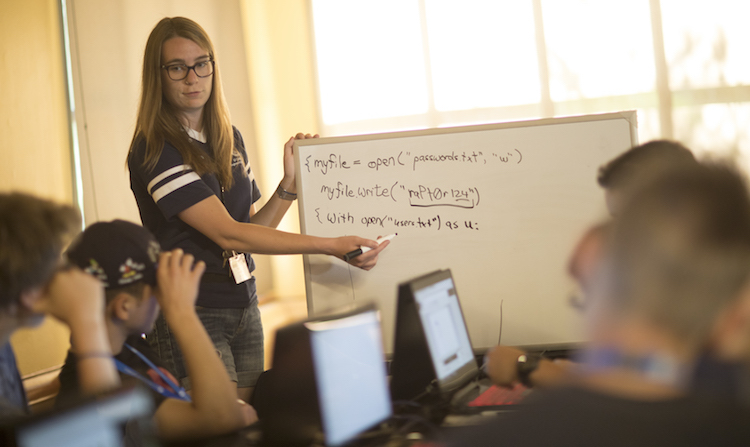 Choose from over 50 courses in coding, robotics engineering, artificial intelligence, cybersecurity, and more. Technology is paving a path that’s full of opportunities to innovate...start your child’s learning journey today!